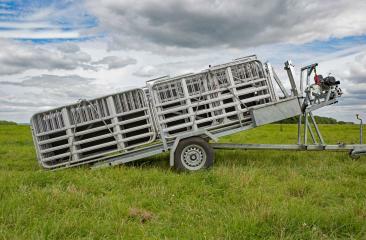 The largest in our range the Series 12 Super will manage flocks over 500 sheep and provides up to 93m of penning. Specifically designed with the large commercial, multi-site farms in mind this is the largest yard in our range. 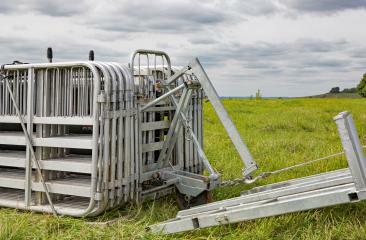 All gates and components are carried on the sheep race, which is transported on the Series 12, braked trailer and deployed at the flick of a switch. 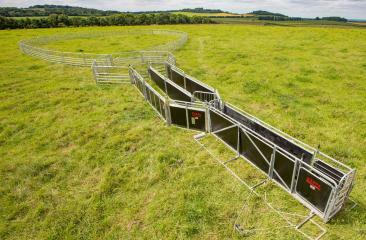 All yards are built in a modular format which allows you to add components as your flock grows, future proofing your investment. The Super is sold with 40 hurdles but has a carrying capacity of 52 hurdles. Watch the RAPPA step by step video of how to winch in the Series 12 Super mobile yard.